Susan, welcome to Writers on Reading! Congratulations on your newest romance, Irish Meadows, released this month. I was privileged to read the first pages in a contest you formerly entered, so I can say it looks like a sumptuous read, folks! Sue, with several contemporary, and now a historical romance, to your credit, when you’re browsing for a book, do you find any theme draws your attention more than others? I love themes of redemption and forgiveness, for example, when a character with a less-than-stellar past, who has newly committed to leading a Christian life, struggles to find acceptance and love. I seem to portray these themes in my writing and love to read it as well. A definite theme there then. One we can continue to look forward to in your writing I hope! What do you look for when choosing your next reading adventure? I usually look for new releases from my favorite authors, but if looking for something totally new, I go for the story premise on the back cover and/or an intriguing front cover! Well, that leads me right into the question I planned to ask next: As a writer, you should know better, but as a reader, you know we all do it—and you just said you did it too! So, when did you last “judge a book by the cover”? How did it work out? I ordered a book that I had really admired the cover of—it was a mansion set in fall foliage. The book sounded a bit out of my usual brand, more like a mystery with some romance, and I ended up being disappointed in the story. The mystery aspect was fine, but the romance (my most important criteria) didn’t end up materializing. 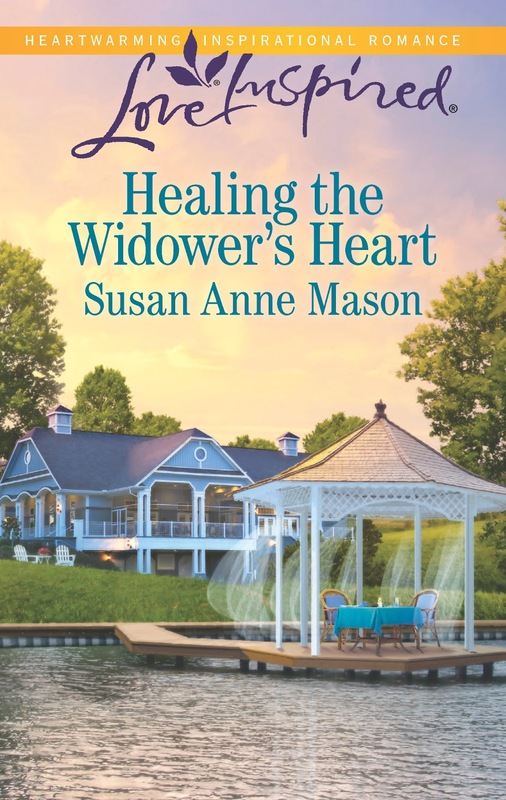 Releasing Irish Meadows this month, and Healing the Widower’s Heart last February, must have put you on a pretty tight time schedule. Do you find time to read during the months you spend writing a book or with deadlines ahead is it either/or for you? If so, what did you read while working on Irish Meadows? If not, did you treat yourself to a good book when you sent this one off to your publisher? I normally read every night before I go to sleep no matter what I’m working on. 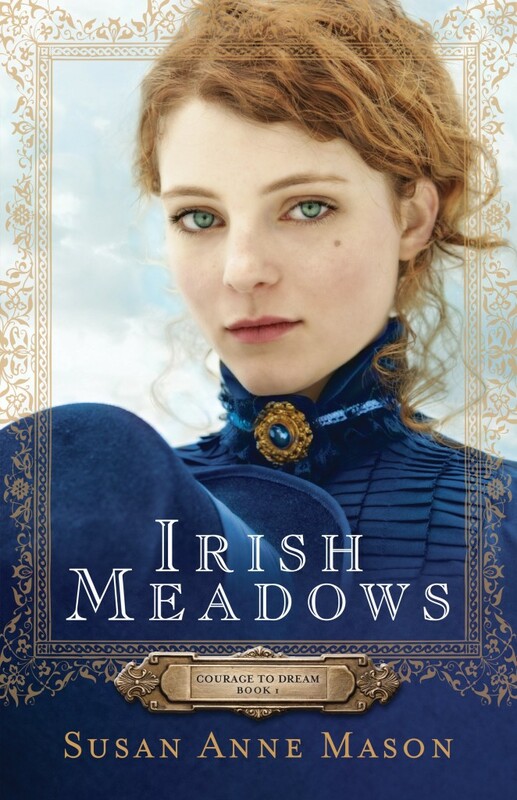 But I honestly cannot remember what I was reading when I wrote Irish Meadows. I wrote the bulk of it during November Novel Writing Month in 2011. So that was a while back! Indeed that was a while ago. From what I’ve heard Irish Meadows had a bit of a journey getting into our hands. What was the last book you absolutely couldn't put down? Why? Well, those are some books to add to our reading lists. Happily I’ve read Love’s Fortune. I love Laura Frantz, too! (Though I’ll argue that her first two were a tad more to my tastes.) When I’m judging books by their covers, Tamera Alexander’s certainly stand out, but I just haven’t had time to get into such thick books, so they’re still waiting for me—some already sitting on my bookshelf. Sounds like you’ve had some great reading lately—how about long ago? Were you the kind of kid/teen who loved reading? Which novel do you first remember reading? The first books I read were The Bobbsey Twins. I think I was about six. I’d get a book for Christmas and disappear to read it! After that it was the Nancy Drew Mysteries series! Aw…I so fun to think disappearing like that. Really brings your childhood reading experiences to life. And the Nancy Drews…I don’t think anything will ever compare to the wonder and joy of grabbing another unread Nancy Drew off the bookshelf. So, when did you know you wanted to write? Did any or multiple books influence this desire? As my dedication in Irish Meadows mentions, my Grade 6 teacher first gave me the idea to write a book. 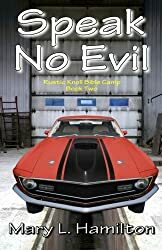 I wrote a messy mystery/adventure during my teens. Then life got too busy, and I stopped writing. Many years later, I picked up a Nora Roberts romance (I had never heard of her!) and got totally hooked! I started reading all the Nora Roberts books I could get, and then the ‘writing bug’ hit again! How fun! I think we’re all gonna be glad it struck you again. LOL Has any book stuck with you recently? What created the lasting impressions? Since I’ve just finished To Win Her Favor I’ll talk about that—another masterpiece by Tamera Alexander! Her hero, Cullen McGrath, is strong and noble and kind—very swoon worthy to be sure. Tamera gets his Irish brogue down perfectly. Her heroine, Maggie, trains and rides racehorses. She is spunky and spirited! Set in the south, with plantations and newly freed slaves, the characters just leap off the page. It’s amazing how the theme of racial intolerance is still so relevant today. People could learn a lot from reading this book! More than a pretty cover then. With summer in full bloom, what is on your to-read list? And what is your ideal summer reading experience? I have KarenWitemeyer’s latest A Worthy Pursuit, and I’m looking forward to Susan MayWarren’s The Wonder of You, as well as Christine Johnson’s Love’s Rescue. And I just got Elizabeth Camden’s Beyond All Dreams from the library! My ideal reading experience is lying on a quiet beach in the shade, waves lapping nearby, with my toes in the sand! That is an ideal summer reading experience and some great books to share it with. Is there a book you are looking forward to rereading? 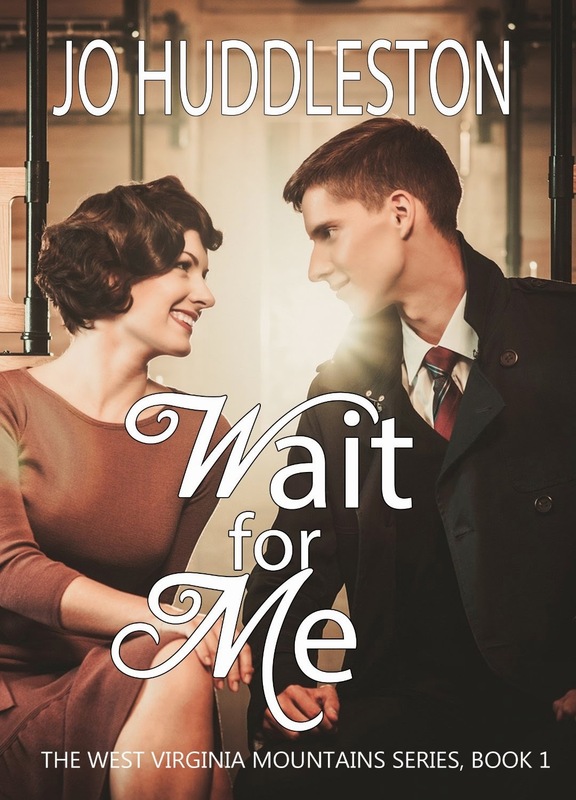 Meant to beMine by Becky Wade. I loved that book!! On the secular side, I want to reread The Great Escape by Susan Elizabeth Phillips, which I originally listened to in the car. Thanks for visiting with us, Sue! It’s so fun getting to know your reading habits! 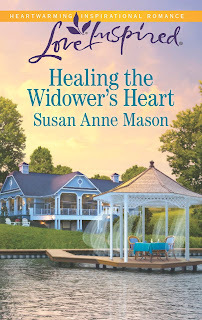 Folks, you can continue to connect with Susan Anne Mason—and find out more about her books!---at the links below---but first her bio! Marian, welcome to Writers on Reading! Your tagline “where the bayou meets the mountains” really describes where readers can expect your books to take them…but it doesn’t describe what I can expect to find you reading! So, as a Romance and Women’s Fiction writer, do you find yourself reading one genre more often than others? I LOVE Women’s Fiction. It’s my go-to genre when I want to sink my teeth into a story. I love getting engrossed in stories that take me through a women’s journey in whatever adversity, challenge, or new opportunity the author chooses to put her through. I like romances as well. Many times after reading a serious lengthy women’s fiction story, I’ll read a romance novel that takes me away to a happy ending. I also read the occasional detective/crime drama/suspense novel. I like David Baldacci, Steve Berry, and Lee Child. Do you like plots as cloyingly warm as the bayou, or as crisp and shivery as the mountains? I like heart-warming stories with riveting plots. So perhaps a combination of both! Can you tell us what speaks to you as you pick your next reading experience? The characters must sound like people I could relate to and pull for. The plot needs to pique my curiosity and be one I could get lost in. The setting must be a place I would like to visit or have visited. I love learning about new places in stories. That’s special, and your books really do take readers to their settings. What was the most out-of-character book you’ve recently read, and what led to your choice? I recently read The Restorer by Sharon Hinck. A soccer mom leaves her world to find herself in another world. My first dystopian novel. I enjoyed it. I decided to read it because an author I admire recommended it. So there’s proof of the importance of sharing books we’ve read and liked with our family, friends, and social media contacts. Word of mouth works! Indeed it does. That’s one of the reasons I love these interviews, I can trust all will be great books to add to my, and my readers, to-read list. As a writer, you should know better, but as a reader, you know we all do it…so, when did you last “judge a book by the cover”? How did it work out? Because I read eBooks mostly, it’s not as easy to buy a book by its cover. I loved Kristin Hannah’s new book cover, but the storyline didn’t seem like something I’d be interested in. Your most recent novel, The Vigil, released a few months ago, a nice backlist of titles proceeded it, and now The Moon Has No Light is soon coming out—whew! When you are writing, does it demand your full attention, or do you find time to read too? I’m always reading something. When I’m writing, I try to read books that are similar to what I write or the author’s voice may be similar so as not to throw me out of my rhythm. That’s an interesting tidbit. So, what did you read while working on this latest book? If not, did you treat yourself to a book after you typed The End? I can’t remember exactly what books I read while working on The Vigil and my latest release, The Moon Has No Light, but it would have been a book by any of the following authors: Susan May Warren, Lisa Wingate, Kristin Hannah, Sarah Jio, Francine Rivers, JoJo Moyes, Marianne Evans, Susan Meissner, or Charles Martin. Very good authors, all. Did a book recently make you laugh/cry/sigh/shiver? Wow that’s a great list. I’ll have to keep it in mind. So…what was the last book you absolutely couldn't put down? Why? The Story Keeper by Lisa Wingate. There was enough mystery to keep me wanting to find out what would happen next. Sounds like a great book. Were you the kind of kid/teen who loved reading? Which novel do you first remember reading? I lived at “the end of the world” in a small community on the bayou south of Houma, Louisiana. Reading was my escape so I read voraciously. I read anything I could find. Saved any money I got to buy books from the Weekly Reader flyers we’d get in school. My favorite book as a kid was Island Of The Blue Dolphins by Scott O’Dell. I’m not sure it was my first but it surely has stuck with me all these years. Sounds like reading was a very special part of your life and there really isn't anyone more qualified to write the bayou books you give us than you! When did you know you wanted to write? Did any or multiple books influence this desire? As a teenager, writing became a dream. I loved books and admired authors who could take me to cool far away places and help me meet interesting characters. I wanted to write so maybe I could do the same for someone else. A lovely reason to start writing! Has any book stuck with you recently? What created the lasting impressions? The Girl You Left Behind by JoJo Moyes. I loved how the author brought me in back to World War II France and showed how a piece of art connected the generations. I also loved how much meaning the painting held to its owners. Loved the storyline and the characters. With summer in full bloom, what is on your to-read list? Not really. I don’t usually reread books even though I liked them a lot. I’m usually ready for the next adventure and I like being surprised by the ending. BUT, if I would reread any book(s), it would be The Mark of the Lion series by Francine Rivers. Amazing books. 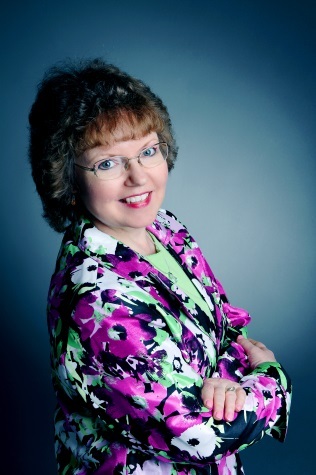 They were the catalyst that prompted me to start writing Christian fiction. I well remember those books! Very good reading. One last question. If the protagonist in your latest book were to pick a book from today’s shelves, what do you think it would be? 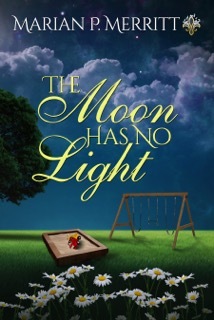 There are two main characters in The Moon Has No Light, Dr. Maggie Langston would probably read the Light Between Oceans by M.L. Stedman. Laney Ellerby would read Why The Sky Is Blue by Susan Meissner. Deirdre, thanks so much for hosting me here at Writers on Reading. It’s exciting to share with your readers! It was a joy having you, Marian. I loved getting to know you as a reader. Folks, Marian will be visiting with us again on Dec 7 to talk about her Christmas reading and writing experiences. 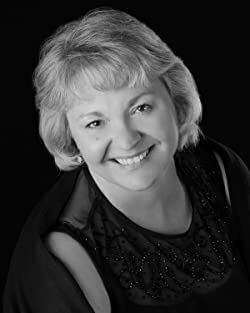 For now though, you can continue to connect with her---and find out more about her books!---at the lines below her bio, and don’t miss out on reading the backcover of her latest book: The Moon Has No Light. Looks like a really great plot! Can the adopted son of one be the abducted son of the other? Will their search for the truth destroy them both? For twenty years, Baton Rouge Pediatrician, Maggie Langston has lived not knowing what happened to her abducted two-year-old son. She believes he still lives. Somewhere. Somehow. When she sees the twenty-two-year-old adopted nephew of her colleague, she’s convinced he’s her long-lost son. Maggie’s allegations create upheaval in the Ellerby household and bring past secrets to light—secrets that make Laney Ellerby question her husband and wonder if her adopted son could really be Maggie’s. Spurred by their desire to find the truth, the women embark on a journey that takes them to New Orleans, Louisiana; Fort Collins, Colorado; and a small town south of Dallas, Texas. As they search for answers, they forge a friendship that encourages each to face the wounds of past mistakes, fears, and regrets. Before they find the truth about Maggie’s abducted son, a tragic accident threatens to steal the son they both claim. 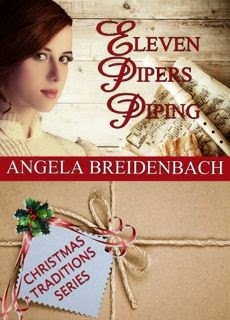 Can Maggie’s fledgling faith withstand the possibility of losing the son she believes she has finally found? Will Laney’s faith support her as she faces the heartbreaking secret from her past and the possibility of losing the son she’s raised as her own for twenty years?